This post is sponsored by Chico’s. All opinions are my own. Polka dots – I love them. Just like stripes, polka dots are timeless. Did you know that today is National Polka Dot day? Well, me neither. Us bloggers, we research our key words and our headlines. After shooting this fun casual look for Chico’s, I realized it was very timely since it’s National Polka Dot Day! I recently asked you what you want to see more of from me in the next year. Many of you said you wanted more casual looks. Well, here you go. This look is ultra casual, but don’t look frumpy. My biggest hesitation in featuring casual wear (or even dressing too casually) is that I will look dumpy. There is a big difference between wearing jogging pants and an oversized college sweatshirt and wearing my look. If it’s not apparent already, the major difference is fit. You can wear casual clothes that is still form-fitting (read: figure flattering). My entire look is ultra comfortable because all of the pieces are soft and have stretch in them. No, it’s not as comfortable as a pair of oversized sweats, but it is still very comfortable. I’m especially in love with these pieces because they offer both comfort and style. The jacket has little polka dot accents at the collar and inner lining and on the back of the jacket. Also, the t-shirt has a fun polka dot and stripe graphic print. Finally, the jeans are actually jeggings. They are super stretchy and comfy, but have a slim cut, which is the most flattering to my curvy frame. I’m excited about this jacket, especially, because I know it’s one of those items I’ll throw on when I’m busy, running errands, or just need a layer. In California, it’s all about the layers. One minute, it can be super warm, downright hot, and then not much later, you really need a jacket. 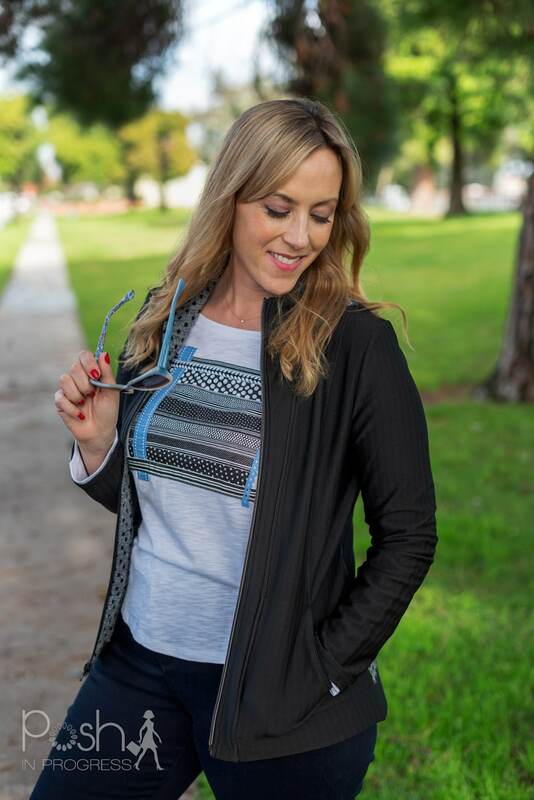 The polka dot details make it fun, and not just your standard zip up. 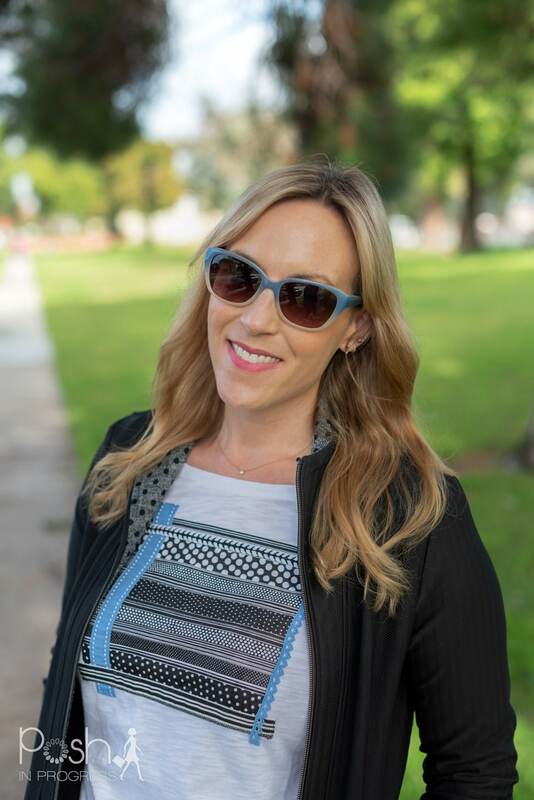 If you’d like to add polka dots to your wardrobe, here are some of my current favorite polka dot pieces for winter and spring.